In an earlier post I mentioned I enrolled Lilla Rogers Bootcamp 2015. 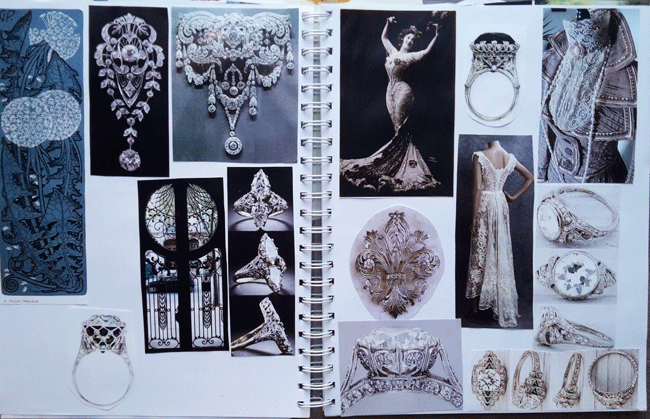 Last Sunday (25th of January) was the deadline of the first assignment: Be inspired by Edwardian brooches and create a journal cover. I missed the deadline because of having another schedule, so I just finished it. 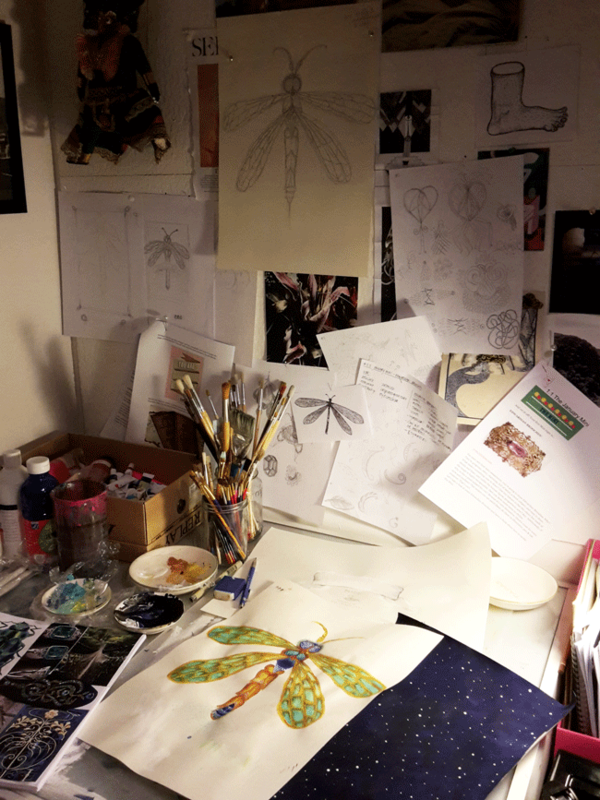 The photo above is, as you can see, a kind of chaotic working space with sketches made earlier, the assignment, my moodboards in a sketchbook and some of the painted elements. My moodboards by colour. 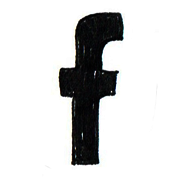 There’s also a red page, but I didn’t use it. 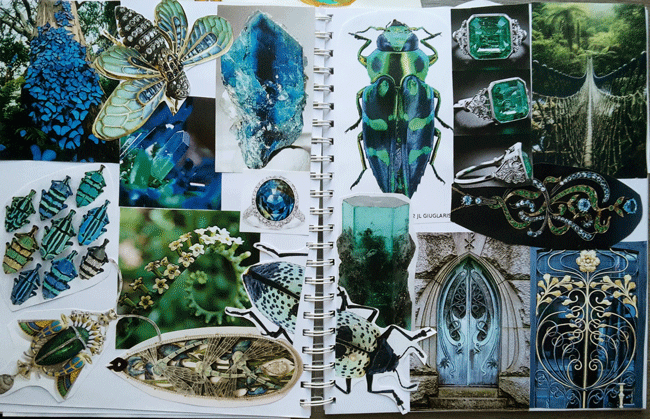 Keywords: bugs/insects, jewelry, brooches, Edwardian, Jugendstil, gems. I collected them all from Pinterest. 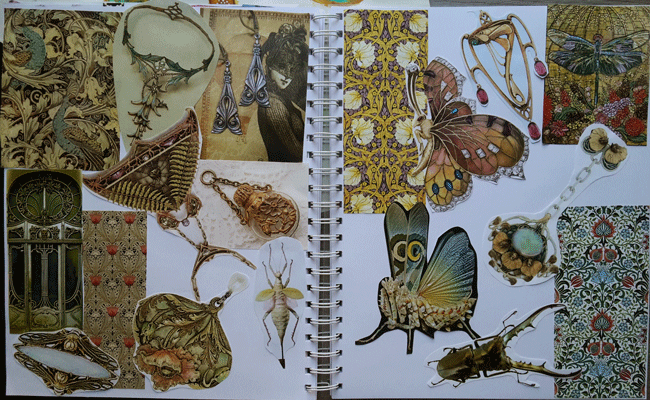 I really liked the example of the bug brooches which were given as an example in the assignment and I have always loved the close-up photos of bugs (yes, the photos, not the real living ones…). 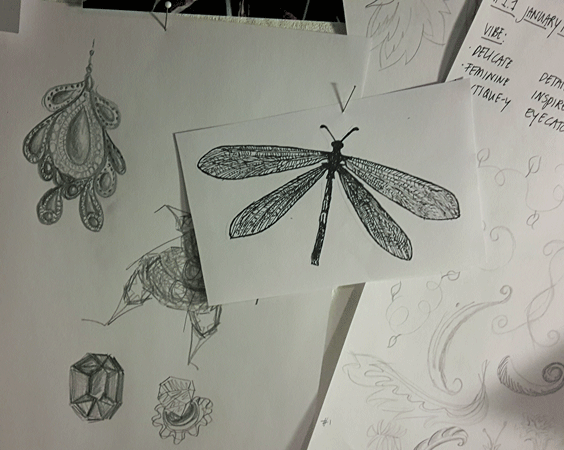 The sketch above shows a grown ant lion, which I ones made as a study for my own logo (fourmilion), so this was the decisive reason to illustrate a bug. 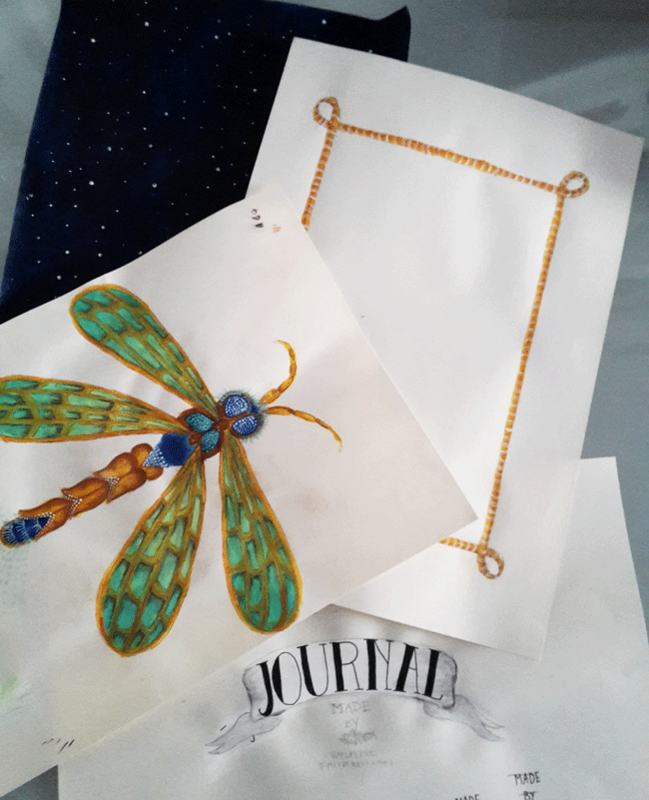 These are the painted items for my journal cover. 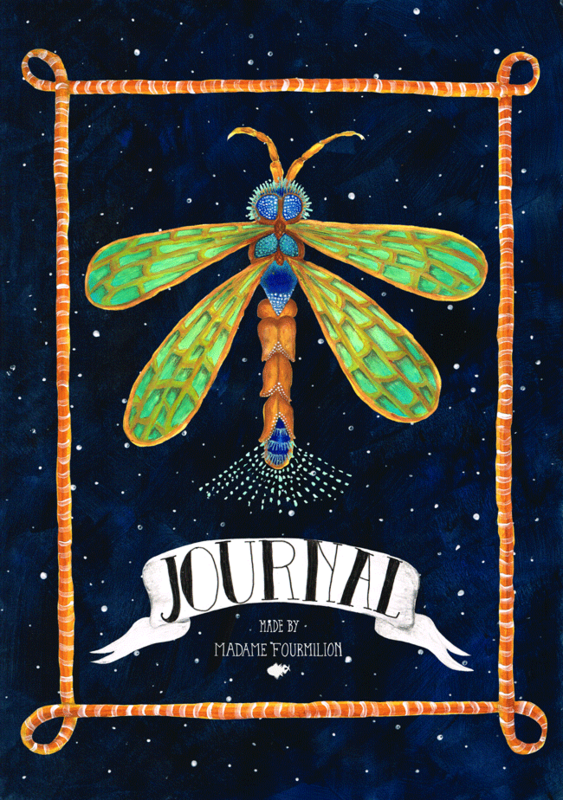 The result for the “dragonfly” cover. 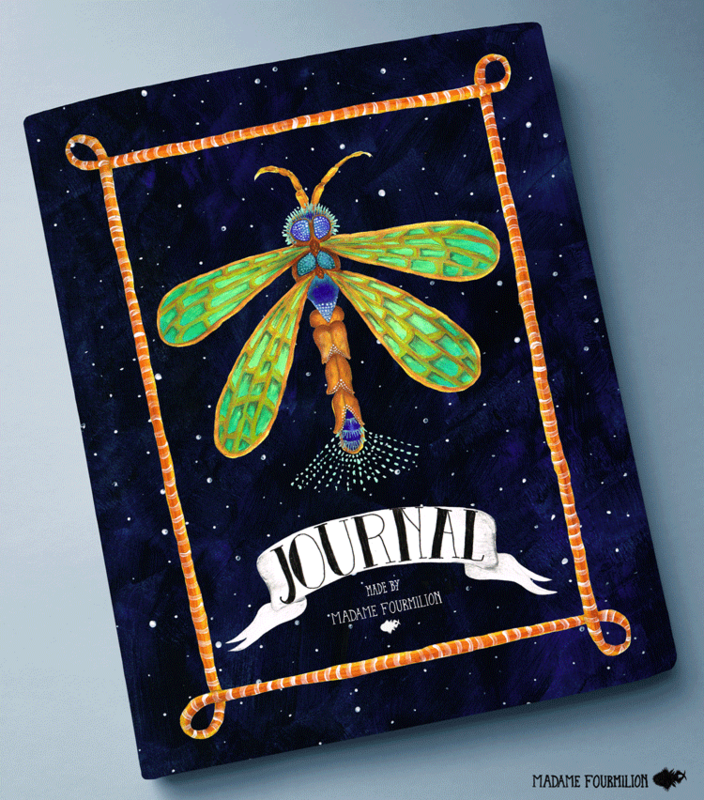 And a simple mock-up on a notebook cover. I really liked doing this first assignment with this theme, so I’m thinking of painting more bug jewelry to make a collection out of it. If you like you can check the results of my fellow students who díd send in their work on time: LR Bootcamp Gallery January 2015.